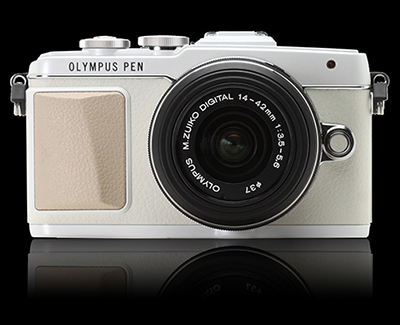 The E-PL7 is the sixth camera in Olympus's midrange PEN Lite lineup. The latest model adds several significant improvements over its predecessor, a revised shutter mechanism, a full control dial on the top plate and a 3:2 rear display. The shutter mechanism reduces the image shake that has blunted the appeal of previous models while the addition of a control dial should enhance the experience for users wanting to take control of the camera. The squarer display, meanwhile, is a better balance between the shape of the camera's stills and movie output - meaning more of the screen is used. Meanwhile, the point-and-shoot end of the audience still get a responsive touchscreen experience with a results-orientated 'live guide' interface. And, because it needs to justify its purchase to a smartphone-owning world, a fold-down rear screen for taking 'selfies.' There's also built-in Wi-Fi to transfer those shots off to a smartphone before you miss any further moments, or your food gets any colder. The 3-axis voice coil motor driven 3-axis stabilisation is borrowed from the E-M10 and promised around 3.5 stops worth of stabilisation, according to industry-standard testing. The E-PL7 is being launched at a cost of $599 body only and $699 with the retractable 14-42mm F3.5-5.6 zoom. Artist Gerlinde Gruber of Vienna, Austria made this mural out of roughly 1700 packages from Mayr-Melnhof Packaging. 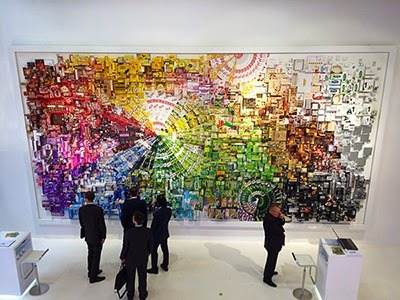 The 8 meter by 4 meter artwork was exhibited for the first time at the MMP booth at the Interpack 2014 trade show in Düsseldorf, Germany. 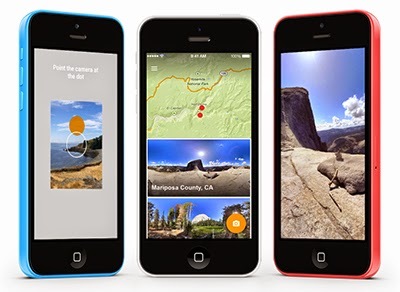 Google has just launched a new app for iOS users, which allows you to take 360-degree photos, then publish them to Google Maps or other social networks. The app is an expansion of a feature that was previously available via Google’s Android operating system. Google’s Photo Sphere lets you look not just left and right, but also up and down – like you can with Google Street View. Say goodbye to hard clumps of butter ripping apart your morning toast with ButterUp. ButterUp turns cold, hard butter into easy to spread ribbons of dairy goodness. Our unique design features a built in grater to aerate and soften butter making it easy to spread. Easy to spread also means you use less butter. 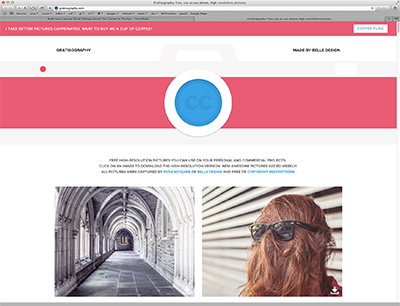 Free high-resolution pictures you can use on your personal and commercial projects. All pictures by Ryan McGuire of Bells Design and free of copyright restrictions. 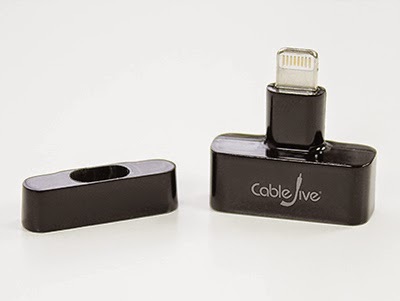 dockStubz is a small adapter for your audio dock or charge station so you can dock with your iPhone with its case on. 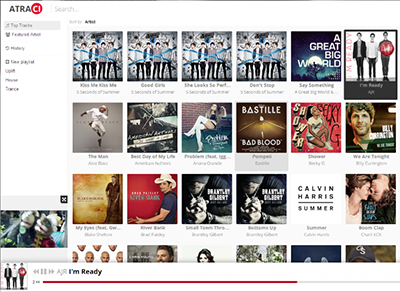 Atraci is an application for Windows, Mac and Linux that lets you listen to more than 60 million songs. It requires no sign up, displays no ads and is 100% safe. We also believe that software both useful and open-source simply can't die. Join us now and contribute at github.com/Atraci/Atraci. Android and iOS apps on the way. 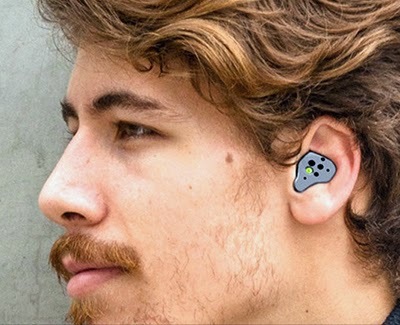 OwnPhones are wireless 3D printed headphones modelled to your own ears. And there's no mail-in ear putty involved. You gather your ears' data points using your smartphone, their app, and an object used for size-reference. These wireless headphones offer good sound quality and fit, but are also customizable in intense ways. There are four types available: Fit, Designer Fit, Smart Fit and Jewelry. 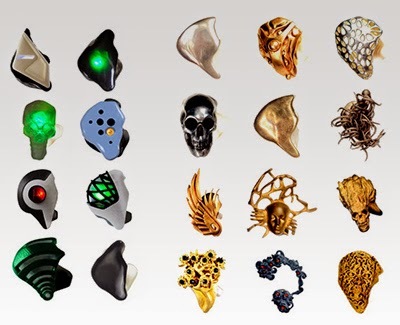 Those correspond with basic 3D-printed plastic blob looks, more complex printed shapes, futuristic glowing cyborg styles with added processing power, and jewellery in precious metals. OwnPhones sport a built-in microphone for calls, Bluetooth 4.0, app-controlled variable noise cancellation and the ability to set exceptions for specific sounds (like an alarm clock) so you never ever have to take them off. There are even optional colored LEDs that can signal whether you're available or busy, stoplight style. When Meredith Perry, 25, started studying astrobiology at the University of Pennsylvania, her career goal was to eventually find life on other planets. Instead, Ms. Perry accidentally stumbled upon something even more exciting: the ability to charge portable electronics, like cellphones and laptops, wirelessly using ultrasound. To do this, Ms. Perry created a technology that can take electricity, convert it into sound and send that audio through the air over ultrasound. Then a receiver attached to a portable electronic device catches the sound and converts it back into electricity. 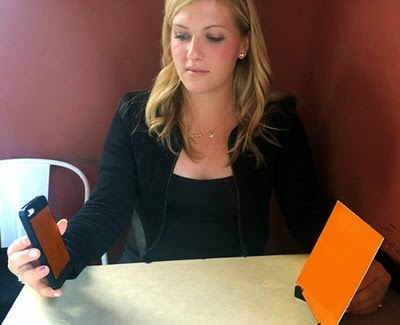 The technology makes it possible for a device to move freely around a room, in a pocket or purse, while constantly charging. The uBeam charging stations will be thin, measuring no more than 5 millimeters thick. These transmitters could be tacked to walls like wallpaper or made into decorative art to beam electricity to devices. Smartphones and laptops could then be equipped with receivers able to convert audio and charge the devices. Chu says worker feedback from the trial has been mostly positive. 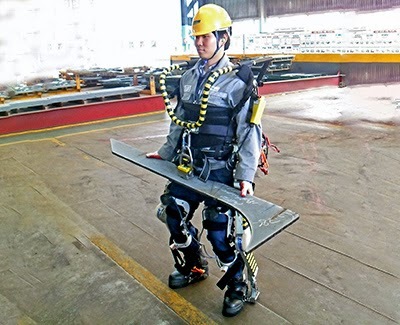 Testers were pleased that the exoskeleton let them lift heavy objects repeatedly without strain, but everyone also wanted it to move faster and be able to cope with heavier loads. Chu is working on it. "Our current research target of the lifting capacity is about 100 kilograms," he says. We are pleased to announce the release of Source Serif, a new open source typeface which is now available here on Typekit — as well as directly from SourceForge, for anyone who feels inspired to dig into the original font files. Source Serif was designed by Frank Grießhammer as the serif counterpart to our popular Source Sans family.